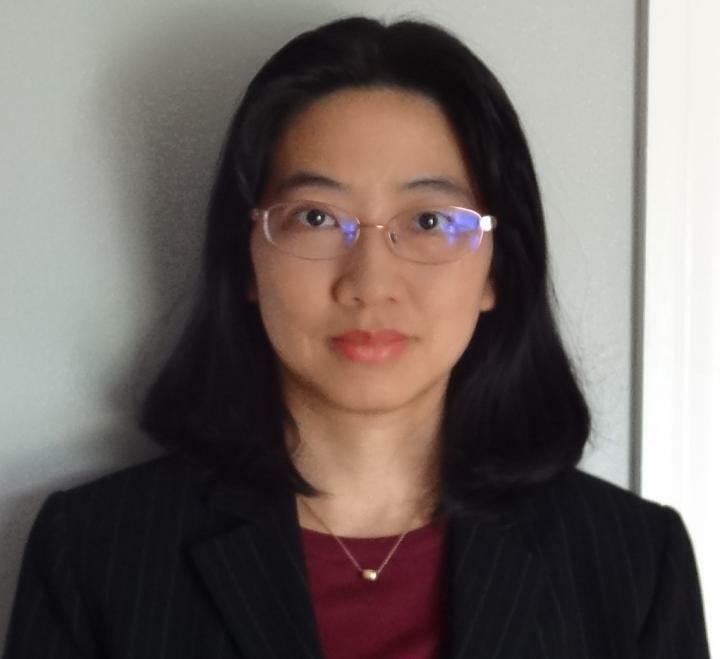 New Orleans, LA – Research led by Hui-Yi Lin, PhD, Associate Professor of Biostatistics at LSU Health New Orleans School of Public Health, has developed another novel statistical method for evaluating gene-to-gene interactions associated with cancer and other complex diseases. The Additive-Additive 9 Interaction (AA9int) method is described in a paper published in Bioinformatics, available online at https://academic.oup.com/bioinformatics/advance-article/doi/10.1093/bioinformatics/bty461/5034431. "This method can identify combinations of genetic variants for predicting cancer risk and prognosis," notes Dr. Lin, who is also the paper's lead author. AA9int is based upon another method Lin developed, SNP Interaction Pattern Identifier (SIPI), to identify interactions between single nucleotide polymorphisms (SNPs). According to the National Institutes of Health, "Single nucleotide polymorphisms, frequently called SNPs (pronounced "snips"), are the most common type of genetic variation among people. Each SNP represents a difference in a single DNA building block, called a nucleotide. Most commonly, these variations are found in the DNA between genes. They can act as biological markers, helping scientists locate genes that are associated with disease. When SNPs occur within a gene or in a regulatory region near a gene, they may play a more direct role in disease by affecting the gene's function." Although SNP-SNP or gene-gene interaction studies have been emerging, the statistical methods for evaluating SNP-SNP interactions are still in their infancy. The conventional approach to test SNP interactions is to use a hierarchical interaction model with two main effects plus their interaction with both SNPs as an additive inheritance mode. However, this approach tests just one specific type of interaction, which can lead to many false negative findings. SNP Interaction Pattern Identifier (SIPI), the first statistical method to thoroughly search for meaningful SNP-SNP interaction patterns in cancer and other complex diseases, can detect novel SNP interactions that the conventional statistical approach cannot. SIPI evaluates 45 SNP interaction patterns. Its computational demands are large, however, which may not be desirable for large-scale studies. So, Lin and her colleagues sought a smaller version with fewer testing models but with similar power. They showed that a mini version of SIPI – AA9int, which is composed of nine interaction models – used only about 20% of computing time. More efficient and feasible for large-scale studies, AA9int is still more effective than the traditional approach. "We found that AA9int successfully detected 72-90% of the SIPI-identified SNP pairs," reports Lin. "Not meant to replace SIPI, but for large-scale studies, AA9int is a powerful tool that can be used alone or as the screening stage of a two-stage approach (AA9int+SIPI) to detect SNP-SNP interactions." The research team also studied the impact of inheritance mode and model structure on detecting SNP-SNP interactions. SNP Interaction Pattern Identifier (SIPI) evaluates SNP interaction patterns by considering three major factors: model structure (hierarchical and non- hierarchical model), genetic inheritance mode (dominant, recessive and additive), and mode coding direction. AA9int considers non-hierarchical model structure and the additive mode. They found that non-hierarchical models play a more important role in SNP interaction detection than inheritance modes. "These identified gene-gene or SNP-SNP interactions increase our understanding of the biological mechanisms of cancer development and may improve cancer diagnosis accuracy and reduce cancer-related deaths in the future." Lin concludes. The research team included scientists from the Prostate Cancer Association Group to Investigate Cancer Associated Alterations in the Genome (PRACTICAL) Consortium. Computational facilities at LSU Health New Orleans School of Public Health were supported by high-performance computational resources provided by the Louisiana Optical Network Infrastructure (LONI). The research was supported by a grant from the National Cancer Institute of the National Institutes of Health. LSU Health Sciences Center New Orleans educates Louisiana's health care professionals. The state's flagship health sciences university, LSU Health New Orleans includes a School of Medicine, the state's only School of Dentistry, Louisiana's only public School of Public Health, and Schools of Allied Health Professions, Nursing, and Graduate Studies. LSU Health New Orleans faculty take care of patients in public and private hospitals and clinics throughout the region. In the vanguard of biosciences research in a number of areas in a worldwide arena, the LSU Health New Orleans research enterprise generates jobs and enormous economic impact. LSU Health New Orleans faculty have made lifesaving discoveries and continue to work to prevent, advance treatment, or cure disease. To learn more, visit http://www.lsuhsc.edu, http://www.twitter.com/LSUHealthNO, or http://www.facebook.com/LSUHSC.